Another day, another tweak. 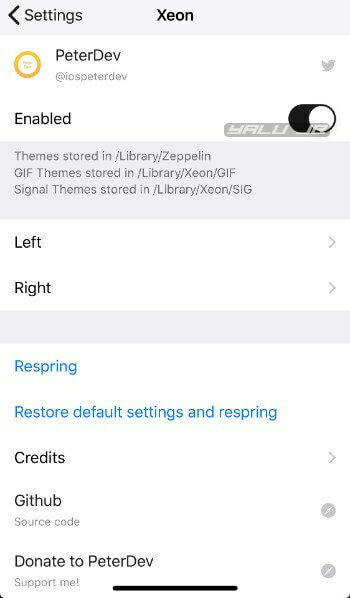 Xeon brings Zeppelin-style status bar customization to iOS 12 and below. Here’s how you can install it on your iPhone and iPad. Zeppelin is the go-to carrier name changer of jailbreak enthusiasts. It is free and has literally been around since forever. 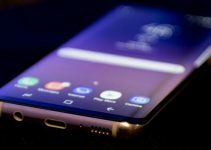 However, its customization capabilities are limited to just the carrier name. Further, it has quite a few compatibility issues with the latest iPhone models. That’s where this new tweak comes in. Xeon allows you to modify the carrier name and status bar of your iPhone or iPad. It is developed by Korean developer, Soongyu Kwon. Here’s how it looks like in action on an iPhone. Xeon (Zeppelin alternative) in action on iPhone. As Xeon only supports iPhone X-style and iPad-style (iOS 12) status bar for all devices. So, if you have a pre-iPhone X device, you must install Neptune or HomeGesture on your device before installing this tweak. Enabled (on) – Enables tweak functionality. Left – Contains preferences for the left portion of the status bar. Enable Image (on) – Enables image (GIF or still image). Color Options (Dynamic) – Sets the color tone of the status bar. Image Types (GIF Themes) – Sets the image type as GIF or an icon. Themes (Dark Knight) – Replaces the carrier name with a Zeppelin theme. 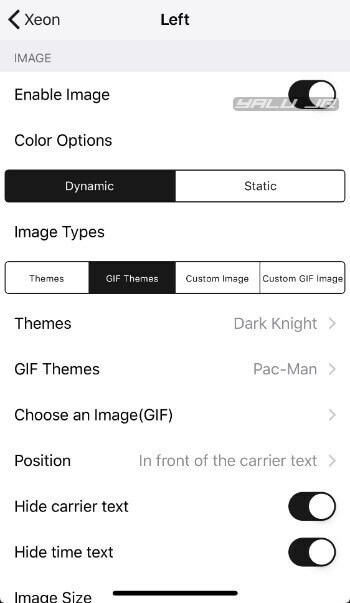 GIF Themes (Pac-Man) – Replaces the carrier name with an animated GIF image. Choose an Image (GIF) – Selects an image from the camera roll. Position (In front of the carrier text) – Sets the position of the image or theme. 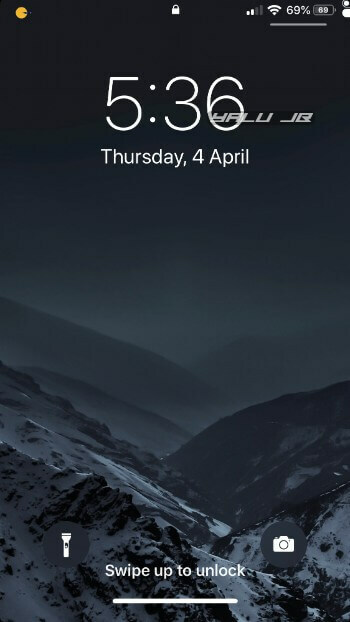 Hide carrier text (on) – Hides the carrier text from the status bar. Image Size – Sets the size of the image. 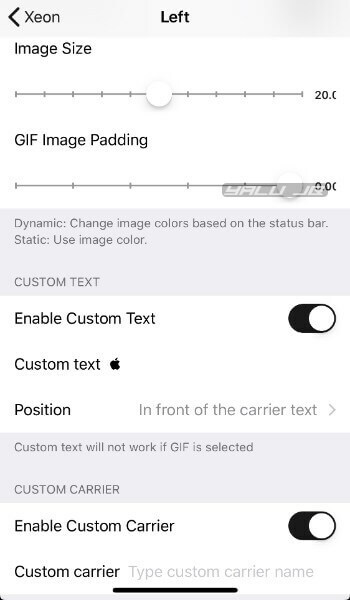 GIF Image Padding – Adds padding to the GIF. Enable Custom Text (on) – Enables custom text before the carrier name. This option will not work if you previously enabled a GIF. Custom Text (on) – Sets the custom text before carrier. Position (In front of the carrier text) – Sets the position for the carrier text. Enable Custom Carrier (on) – Enables custom carrier text. Custom carrier -Sets custom carrier text. Automatically adjust font size (on) – Automatically adjusts the font size of the status bar. iPad-style status bar compatibility (on) – Adds iPad-like compatibility to the status bar. Right – Contains preferences for the right portion of the status bar. Enables Custom Cellular Text (on) – Enables custom cellular text. Custom Cellular Text – Sets custom cellular text. The default value is set as “5GE”. Show percent in battery icon (on) – Shows battery percentage in the battery icon. Enable in normal state (on) – Enables battery icon in normal mode. Enable in Low Power Mode (on) – Enables battery icon in the low power mode. Enable in charging state (on) – Enables battery icon in the charged state. 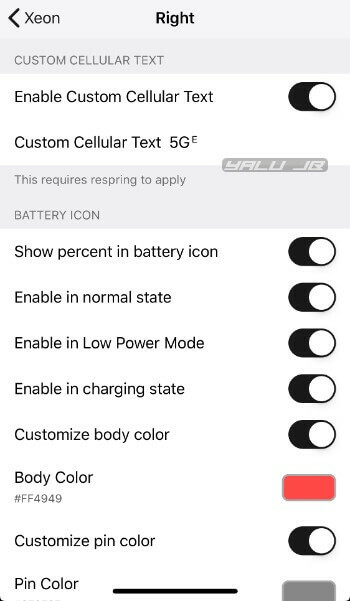 Customize body color (on) – Enables custom colors in the battery icon. Body Color – Sets a custom color for the icon body. Customize pin color (on) – Customizes the pin color. Pin Color – Sets a custom color for the pin. Customize fill color (on) – Customizes the fill color. Fill Color – Sets a custom fill color. Respring – Restarts the SpringBoard to apply the changes and modifications applied by the user. Restore default settings and respring – Restores the default settings and restarts the SpringBoard. If you use the settings given above, your status bar will come out looking like the one shown below. Unlike Zeppelin, Xeon is a complete customization suite for the status bar and is worth every penny. Highly recommended. 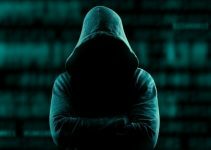 The developer has fixed plenty of bugs already and rolls out new updates on a constant basis. The only gripe I have with this tweak is its confusing preferences area that can take a while to get used to. Xeon is available for download on Packix repo for $1.99. 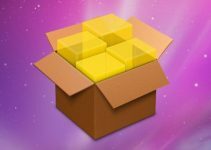 It is compatible with iPhone and iPad (Cellular) running iOS 11 and 12.